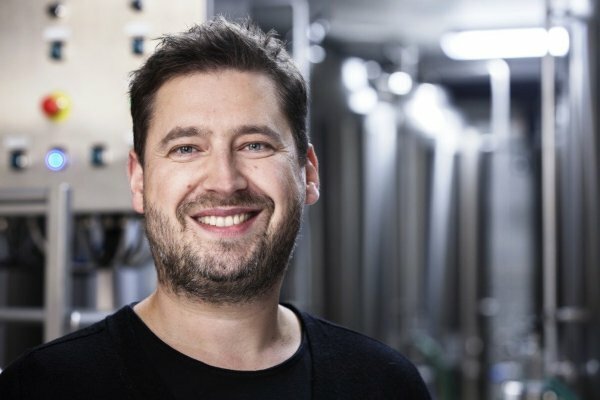 Named after Carlsberg’s founder, J.C. Jacobsen, the Jacobsen Brewhouse was established in 2005 as one of the nuclei of the craft revolution in Denmark. Housed in the original Carlsberg brewery in Copenhagen, a broad spectrum of beers are created that embody the classical beer styles. The most well-known are: Brown Ale, Saaz Blonde, Original Dark Lager, Extra Pilsner, Weissbier, Pale Ale, India Pale Ale, Porter, and Golden Naked Christmas Ale. The latter gets its name from the fact that the malt is processed without the husk. The brewery’s success backs up the strategy. Jacobsen has a six-figure number of visitors every year with an annual production that has risen to 25,000 hl. The beer is currently produced by 18 employees, and sold mainly in Denmark with some exports to Norway, Sweden, Switzerland, and Italy. In 2016, both the production process and the flow of visitors through the Jacobsen Brewery had to be reorganized to accommodate necessary structural changes. To do this, the filter cellar had to be relocated. Carlsberg wanted to use this opportunity to simultaneously solve a very central challenge once and for all: handling the kieselguhr. This BMF +Flux Compact S4 was designed specifically for breweries with an annual output between 10,000 and 100,000 hl. Often, there is a lot of manual work on the daily schedule in these breweries. Hoses are laid, and during filtration, sacks of kieselguhr are opened and poured in. Not only is this work physically challenging, but the dust poses a health risk and has to be controlled. 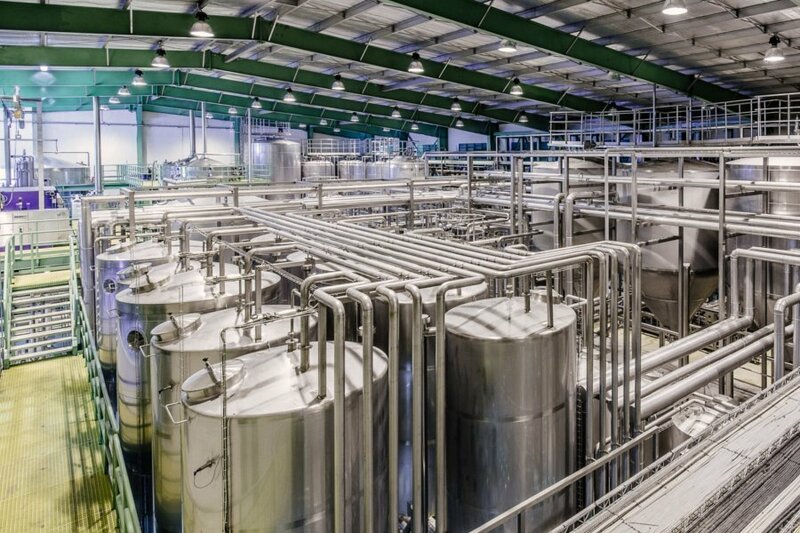 Eliminating kieselguhr handling and the associated disposal of the kieselguhr sludge – which is classified as hazardous waste – permanently reduces the work load, especially in breweries of this size. The user-friendly fully automated function of the membrane filter is an additional advantage. These factors played an important role for Carlsberg. Another plus of the system is the absolute stable quality of the membrane filtration due to the defined pore size of the membranes. The danger of iron intake into the filtrate from the kieselguhr is eliminated. Plus, the closed membrane filter system performs very well with regard to the important parameter of oxygen intake, which is reflected in flavor stability. In addition to these technological advancements, membrane filtration provides a fully automated process. This is particularly important at Jacobsen, because there is no daylight in the new filter cellar. A law in Denmark requires that workers must see daylight at the latest after two hours. This is not a problem with BMF. The entire system, including backflushing and cleaning, runs without manual intervention. 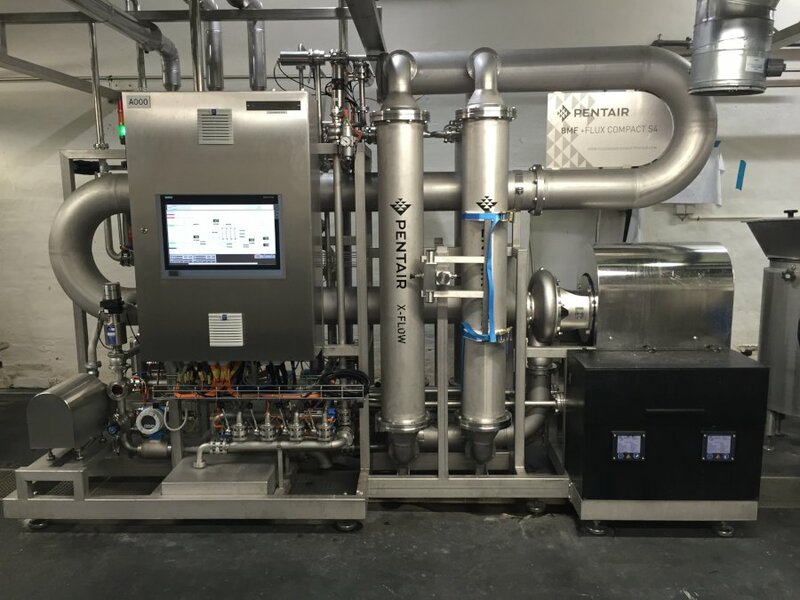 “Our operators are really happy with the filter because it is easy to operate and highly automated,” Bertelsen said. The BMF makes it easy to switch between types and colors of beer, and even the smallest batches can be efficiently filtered. This is where the actual on-off filtration shows its strengths. The process is simple: filtration stops, beer is flushed out, the membrane is backflushed, and filtration begins on the next batch. Hardly a drop of beer is lost. The low beer loss when switching types is a very central argument for BMF in breweries like Jacobsen that produce a wide range of beers at high value. The beer loss with a BMF is concretely between one and three percent. The lowest value is achieved if the flush can be done with deaerated water. Naturally, the brewery can also filter beer on beer, but that increases the beer loss due to the unavoidable mix-zones. By comparison, the beer loss with kieselguhr filters is normally between four and ten percent. The greatest loss occurs through non-automated kieselguhr filters, which are often found in small and medium-sized breweries. For example, taking a rather conservative lower beer loss of two percent with membrane filtration compared to a kieselguhr filter and 25,000 hl of beer to be filtered, this means: Jacobsen can sell nearly 500 hl more of its craft beer. At the current sales prices, this is a very worthwhile investment. The BMF system at Jacobsen has been in service since January 2017. Installation, including commissioning, only took one week because the filter was pre-mounted as a stand-alone solution on a stainless steel frame and delivered pre-tested. The brewery only had to prepare the ingoing and outgoing beer connections, water, power, compressed air, and carbon dioxide. The compact structure of the filter unit that measures 3.5 by 1.2 meters was also a major advantage for easy integration. Practice has also shown that the setup times with a membrane filter related to the filtered beer volumes are shorter in smaller breweries. This can be explained as follows: The kieselguhr filter is cleaned daily and re-flooded. The membrane filter, however, can be left overnight in an interim caustic cleaning solution. In the morning, the filter is rinsed and then filtration continues. The big cleaning is only done when the cycle end of the filter is reached or the backflush intervals become too short. Or, as at Jacobsen, the two to three filtration days per week are completed. The cleaning is fully automatic and is performed outside of the actual filtration time, without an operator needing to be present. With a kieselguhr filter, the setup times fall completely within the production time. Which means filtration time is lost. Therefore, the efficiency of membrane filtration is significantly higher than with a kieselguhr filter. Small-sized filtration units for craft and small breweries with an annual output of up to 100,000 hectoliters. Innovative technologies and broad engineering experience for highly efficient and advanced beer production.